Home > Shop By Brand > BLACKFIRE Pro Detailers Choice Car Care Products > BLACKFIRE Rinseless Wash 32 oz. The rinseless way to maintain a Wet Ice Over Fire shine! Did you know the average 5/8" water hose with water pressure of 50 psi releases 10 gallons of water per minute? Let's say you can thoroughly rinse your vehicle in three minutes - you're still using a minimum of 30 gallons per car wash. According to an article in Auto Laundry News, automatic car washes can use anywhere from 35 to 70 gallons of water per vehicle. Compare that to two gallons of Blackfire Rinseless Wash. This tremendous water savings translates to a cost savings to homeowners, and it's better for the environment because there is less run-off. Plus, Blackfire Rinseless Wash is biodegradable and VOC compliant so it has less impact on the environment. In addition to saving water and money, Blackfire Rinseless Wash is convenient! Think about all the cold winter days when you wanted to wash your vehicle but couldn't. 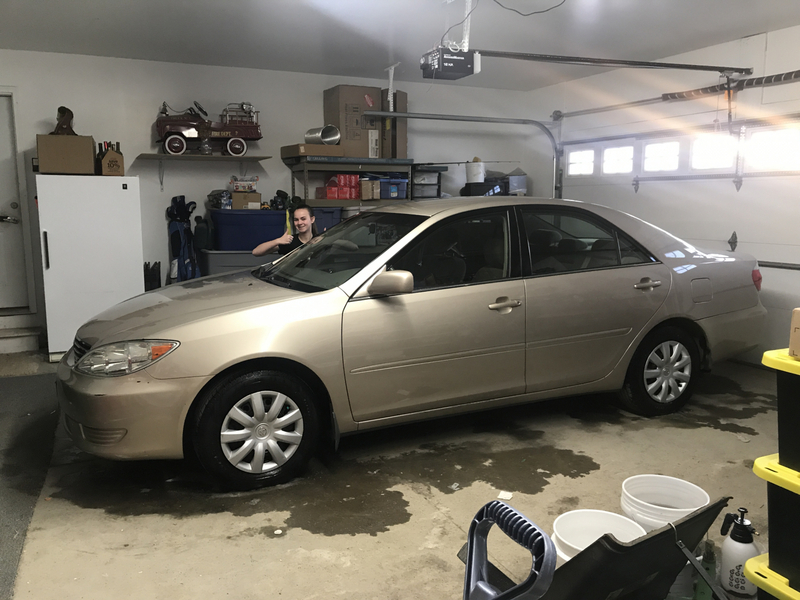 With Blackfire Rinseless Wash and two gallons of water, you wash your vehicle inside your garage. There's no need to go outside in the cold. Do you live in an apartment or a condo? This product is for you. You can easily wash your vehicle on the street or in your parking garage with Blackfire Rinseless Wash. When you can't use a water hose, you can always use Blackfire Rinseless Wash! For a rinseless wash, dilute 1 oz. in 2 gallons of water. 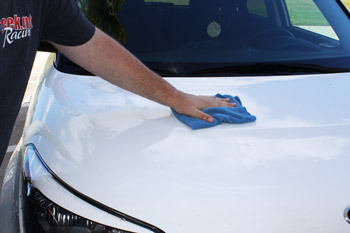 Soak a wash mitt or sponge in the solution and wash the vehicle one section at a time. Wash one panel at a time, making sure to flood the surface with an adequate amount of solution. Wash in gentle straight-line motions. Blackfire Rinseless Wash does not require rinsing because it is not soapy. It contains lubricants and polymers that loosen dirt and oils on the vehicle so you can wipe them away with a wash mitt or sponge. These lubricants prevent grit from scratching the paint. The same state-of-the-art polymers found in BLACKFIRE Paint Sealant bond to the paint to enhance its shine and protection. Just wash, wipe, and dry! 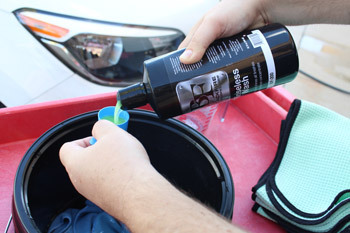 In addition to rinseless washing, Blackfire Rinseless Wash also makes an excellent foam pad and clay bar lubricant, water conditioner, and quick detailer. The dilution ratio determines how the product can be used. The advanced lubricants and polymers provide excellent protection against swirls and scratches. Blackfire Rinseless Wash is the answer to keeping your vehicle clean when conventional washing is not an option. Save money, reduce run-off, and maintain a clean shine! Concentrated formula can be diluted to make a water conditioner, a quick detailer, clay and foam pad lubricant, and a rinseless wash.
High gloss polymers bond to the paint to leave a slick, shiny finish. High lubricity formula is safe on paint, clear coats, glass, metals, and plastics. Uses minimal water and requires no rinsing. 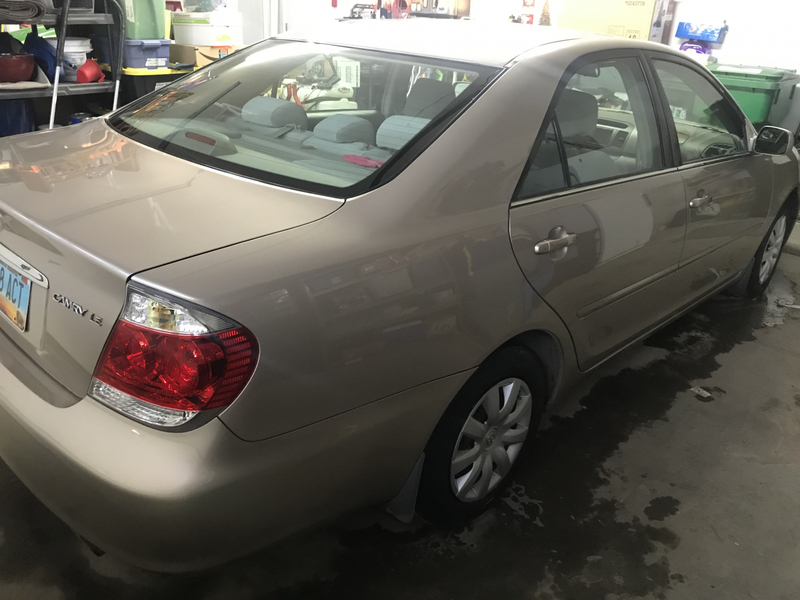 Does not remove wax or paint sealants. My goto products are made by Angelwax, so I was a little disappointed when no product was found for this application. At this point I decided to try Blackfire. Blackfire did not disappoint, the finished paint shines clean with a high gloss. The results were so pleasing that I will not hesitate to use Blackfire for other applications. 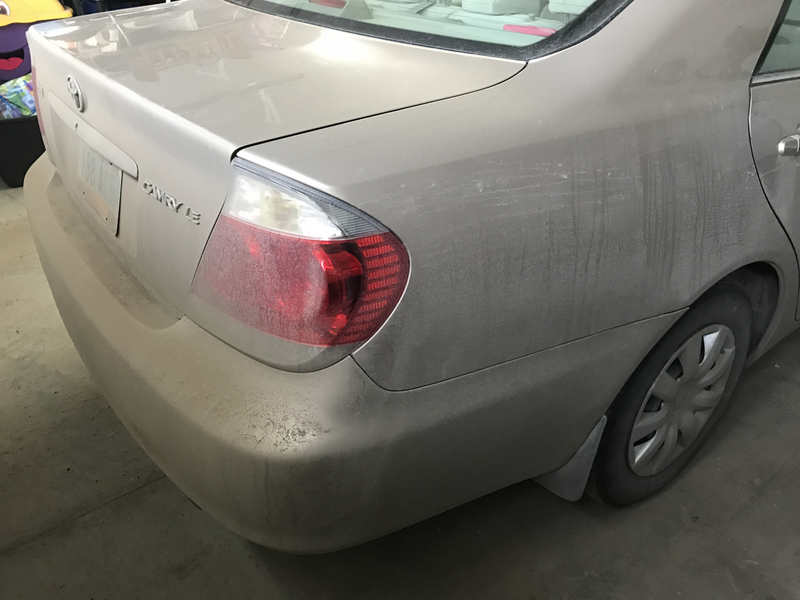 ProsI put it to the ultimate test with a filthy fall/winter grimy, dusty, and road salted car and it came out on top. I received this as a gift from AG. The first thing I noticed is that it looked exactly like the Waterless Wash minus the lemon scent. Then there is the fact that it does not have any suds. This caused me to swap my wash cloths out much more frequently, because I couldn't tell when the product might be getting too diluted. I also did a lot of overlapping, too. Even with the extra swapping of my cloths, it still took me less time overall. Does it clean? It sure does and leaves a nice shine as well. If you don't have a garage, like me, just make sure you don't do this out in the sun. I got up and was busy washing at first light. ProsCleans nicely. Cuts time off the job. Uses less water. ConsNo suds, so it is difficult to tell where you are at and if you are getting the product too diluted - but that is easily compensated for, so it is a minor quibble. This stuff is the very best there is period. I used it on my white 06 ram 3500 and the shine is completely off the hook. Any one who have not tried the wet diamond rinseless wash owe it to yourself to try it.